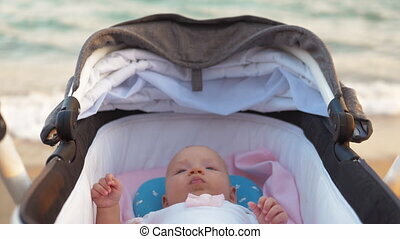 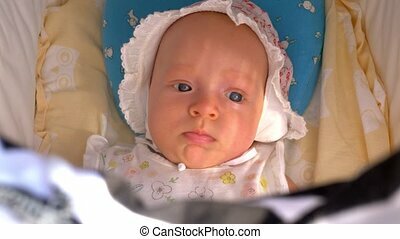 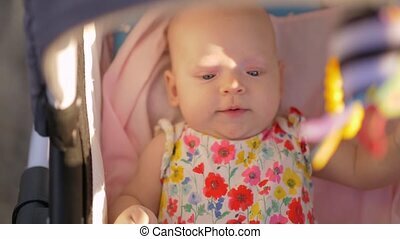 Baby girl with toy in pram. 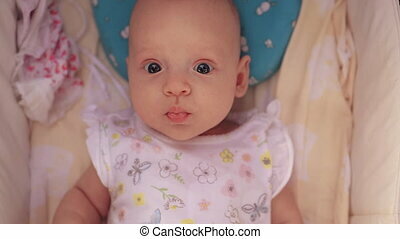 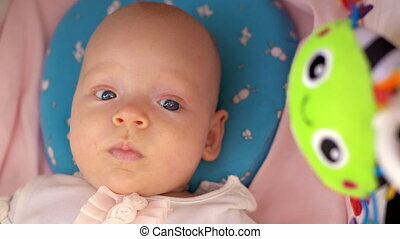 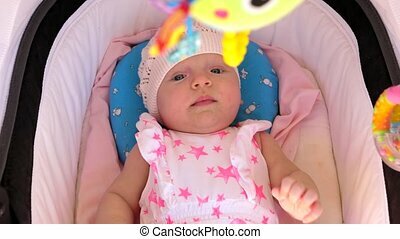 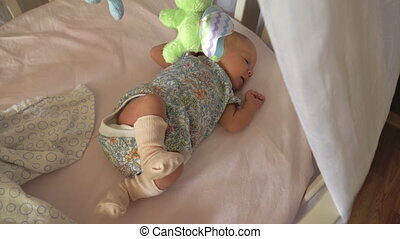 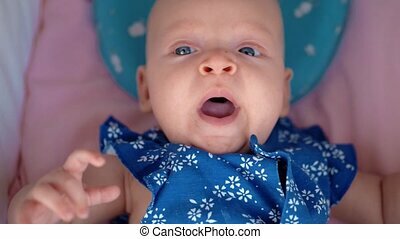 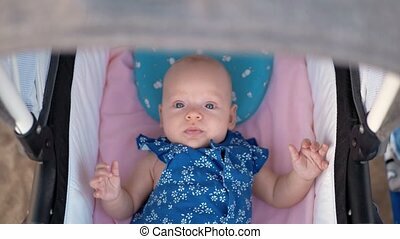 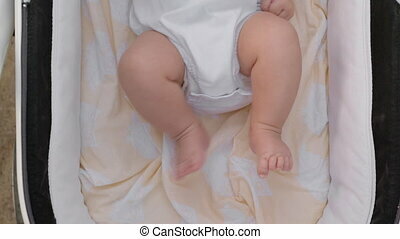 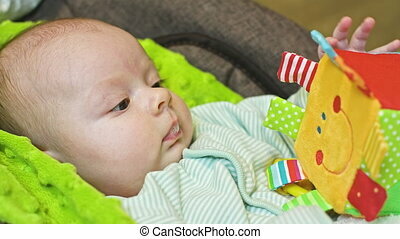 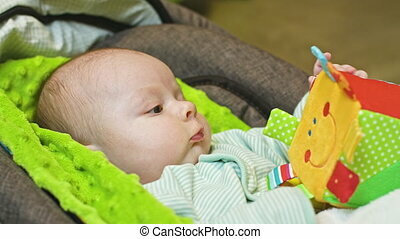 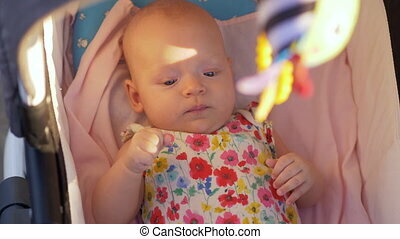 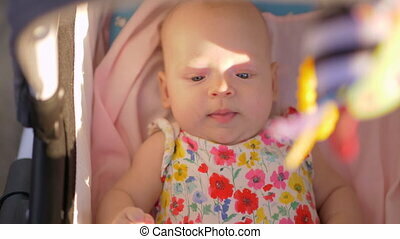 Portrait of lovely blue-eyed three months baby girl lying in baby carriage with green toy. 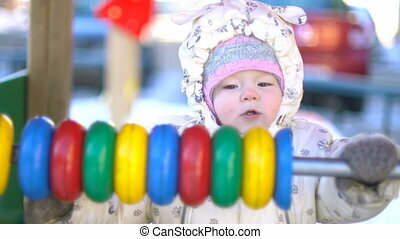 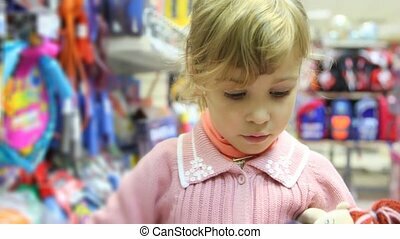 Baby girl playing with abacus in courtyard.